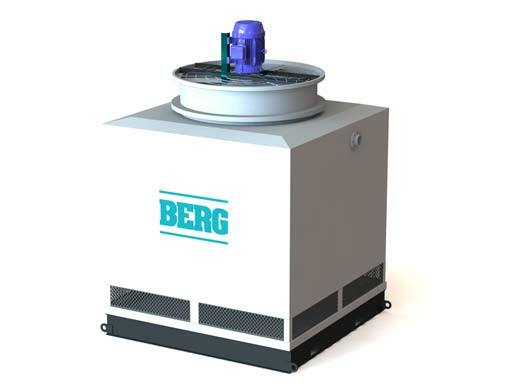 Chemicals & Petro-Chemicals Solutions | Berg Chilling Systems Inc.
Eco-positive, thermal process management solutions for the global chemical and petro-chemical market. A truly trustworthy cooling solution must be cost-effective, efficient, and robust enough to handle the rigorous demands of the chemicals & petro-chemicals sector. Today’s chemical processing facilities demand the highest standards when it comes to the production of chemical and petro-chemical products. To exceed stakeholder expectations and meet regulatory requirements, chemical and petro-chemical producers turn to Berg for total chilling solutions. For over 40 years, Berg custom designs industrial process temperature control solutions with chilling, pumping and freezing equipment to maintain optimal production conditions, enable the separation of key components, and capture and reuse process energy in the global chemical, petro-chemical, pharmaceutical, and rubber markets. Berg works with companies in the chemical and petro-chemical industries to develop custom engineered chilling solutions suitable for their needs. We have expertise in providing chilling equipment for use in dew point control of vapors in processes, large batch jacket cooling of process vessels/tanks, biotech reaction control, thermal reaction control, anodizing and coating processes, distillation (fractionation), process and heat exchanger cooling of processes, and much more. Our experienced team custom designs and fabricates complete solutions, including chilling, pumping and heat recovery equipment and all other auxiliary equipment in close partnership with our customers, ensuring engineered innovation that meets the economic and functional goals of their projects. This collaborative approach to doing business positions us as both a worldwide leader in solving complex application issues and has consistently resulted in improved operational competitiveness for our customers.